Go Get ‘em Young Lawn Services is a full-service irrigation repair service and maintenance providing company to counties in Florida. We are equipped with the expertise and the tools to take care of all repair and maintenance of your lawn irrigation to help your lawn look its best. The climatic conditions in Florida demand that your irrigation system performs at its optimal for attractive landscape views with lush green lawns. While non-functional sprinklers and the allied parts can lead to turf and plant damage, leaks in them result in inflated power bills and water wastage. With close to a couple of decades behind us, we have been helping residents maintain the best-looking lawns with the perfect irrigation system. From sprinkler heads to the control valves, the plumbing lines to controllers and pumps, we have the expertise to carry out all needed repairs. Broken sprinkler heads: Broken risers or sprinkler heads are among the most commonly damaged parts that need repair. We have an assortment of accessories with us to carry out instant repair of any damage to the pipes or the heads. Broken pipes: Expanding tree roots, any digging or a crack on the joint can result in a lot of water wastage. Our team is fully equipped with all possible parts needed for such repairs without any further delay. Faulty sprinkler valves: Broken solenoids, failed diaphragm, and internal springs are some of the most common problems with these valves. We have the necessary locating tools and the replacement parts for a quick fix. 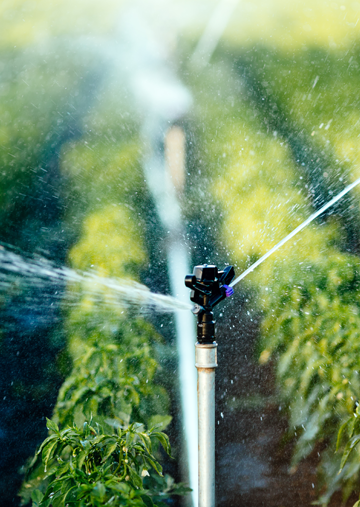 Damaged sprinkler wiring: Blown fuse, a malfunctioning transformer or a major system fault are the most common electrical problems that occur with irrigation systems. We both trace and fix these delicate issues with finesse. As local veterans we understand the harsh Florida conditions caused by the heat and humidity along with lightning that adversely affect your lawn irrigation. We install some of the best and weather resistant products to give you a worry-free lawn care that will last for years. We also provide bi-annual, quarterly or monthly maintenance services depending on the needs of your lawn. Maximize your landscape value and minimizing your lawn maintenance needs with us!! !